I’m 32 years old and work as an interaction and visualisation designer at Zeit Online. I studied interaction design in Potsdam, Germany. From 2006–2008, I worked for Last.fm. Now and then, I freelance on the side, but lately it’s all been NDA. I’m @julians on twitter. Here’s my bachelor thesis: Probing Projections. I’m a little behind documenting the things I made, so here are only embarrassingly few of them. I’m working on it. 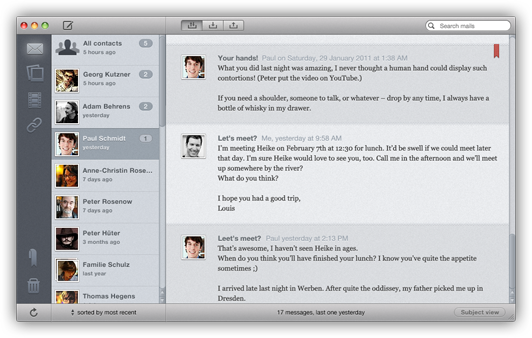 A different take on email, focusing on people and conversations. There are no inboxes, no folders and no complicated searches – only easy ways to find mails, images and links your friends sent you. 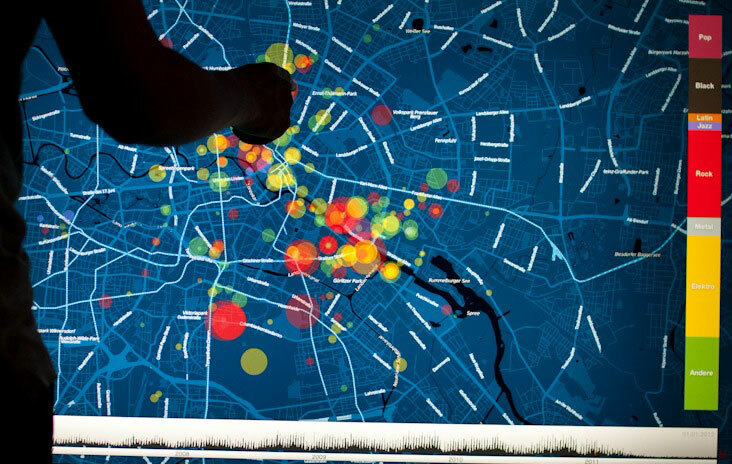 A visual multi-touch exploration of Berlin’s concert landscape, showing trends spatially and over time, using data from Last.fm. 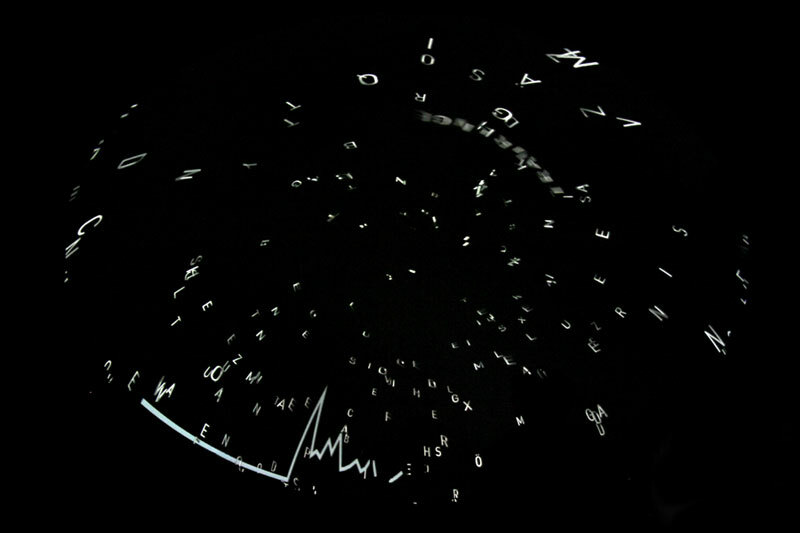 Exploring the German language in a voice-controlled full-dome projection. On the off-chance you want to see even more, you could take a look at my page on the uni’s website. It has documentation for lots of some classes I took.